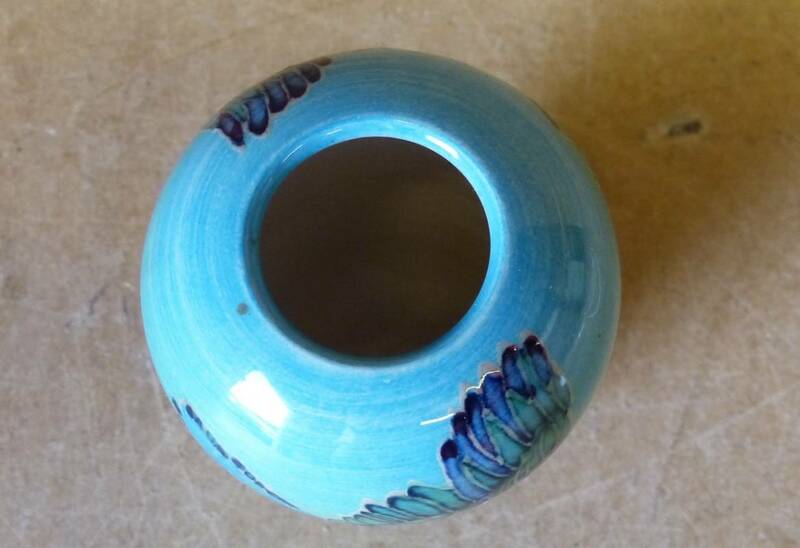 On July 11 we have seven pieces of Alan Clarke pottery for sale as well as a whopping 35 piece collection from Dennis Chinaworks designed by Sally Tuffin. The Alan Clarke pieces are "Alan Clarke Studio" and they are from Poole where Clarke was a major figure for 30 years. The pieces are chargers and vases--all in vibrant orange with blue accents and each piece is estimated to sell from £15-£30 or £20-£40. 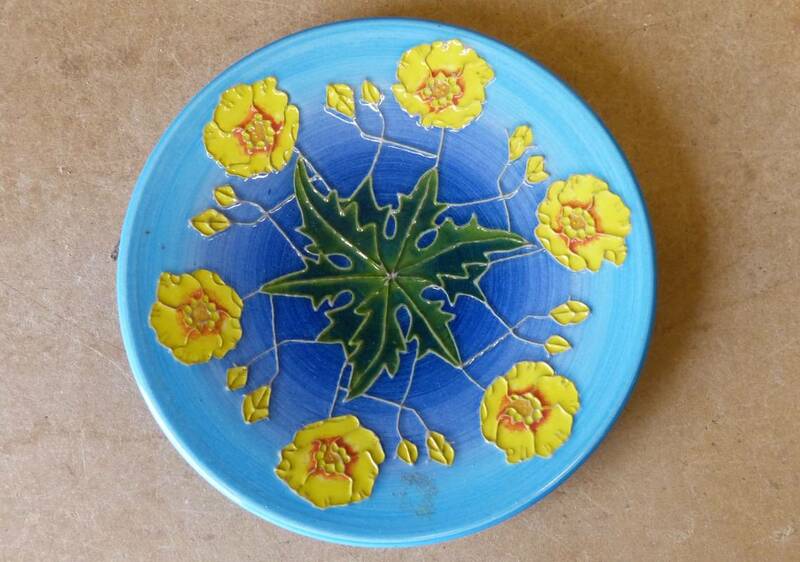 The Sally Tuffin pieces produced by Dennis Chinaworks are a collection of plates, small dishes, vases, and lidded storage jars of a wide variety of vivid and exciting designs. 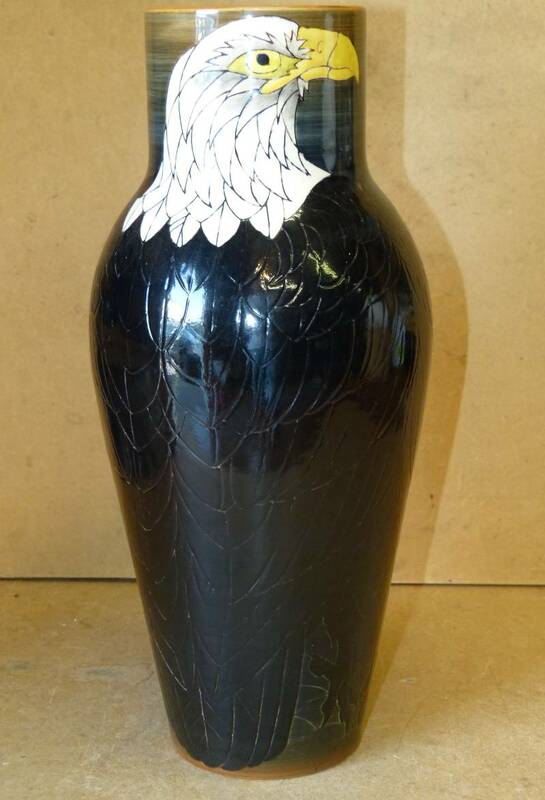 Prices range from £25-£40 for a small dish to £250-£350 for an eagle vase. 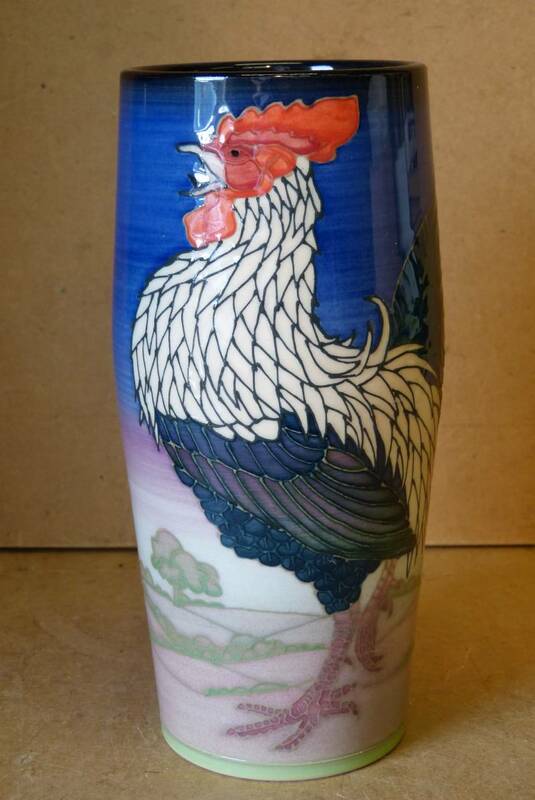 Here in Dorking we`re especially excited about the five "Dorking Cockerel" vases estimated at £200-£300 each.